Mike Trout, Mookie Betts blah blah blah. Read all about them and the rest of the Outfielders on the Fantasy Outfielder Rankings page... Buster Posey, Gary Sanchez, yada yada yada. For that analysis, check out our Fantasy Catcher Rankings page, too. Is Trea Turner the real deal or do you stick with Jose Altuve and all that stuff... check out the Second Baseman rankings.You know how this works - click around on the site to read more in-depth analysis to prep for your upcoming, beer-infested 2017 draft. For now, here's the standard top-ranked fantasy offensive players in baseball. 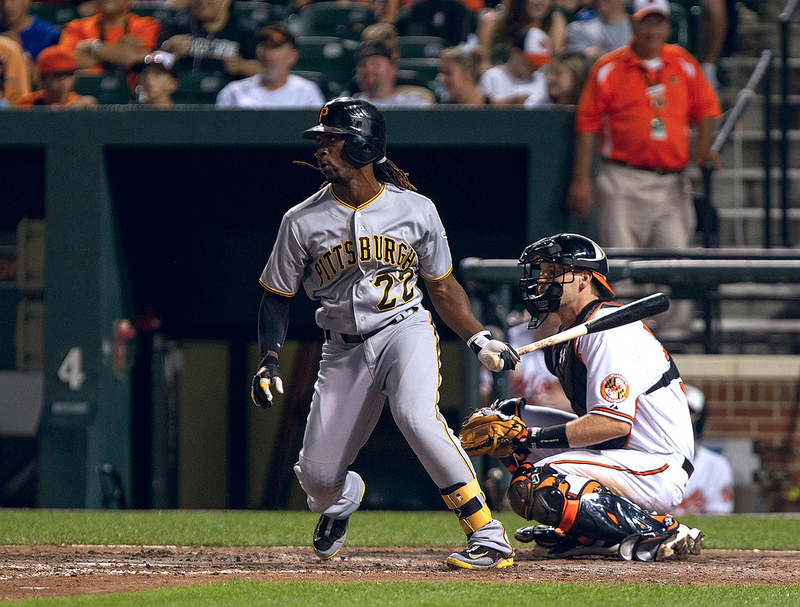 Andrew McCutchen needs a big comeback year in 2017. First, we checked out the actual stats, especially from last year. We all employ the "what have you done for me lately?" philosophy in fantasy baseball, so that's what the Top 100 list is on the left, below. Those rankings are based on actual statistics from last season, then we weighed the players based on drafting for power, drafting for speed and power, then we also paced out their seasons from last year to an even playing field (everyone scaled up to 162 games), then we re-measured them against each other. We also limited our rankings to players who had at least 250 at bats. Next, we checked out the actual stats, reviewed who was (likely) a fluke last season and who is (likely) to improve, flame out, remain consistent, etc. for the 2017 fantasy baseball season. A few players made this list who didn't crack the top 100 in actual stats. To give you anecdotal evidence - Giancarlo Stanton didn't rank in the Top 100 hitters in 2016 (missed time, low average, no speed). He did, however, rank #14 overall in this year's projection based on what we expect him to do and how he can help your lineup before he (predictably) goes on the Disabled List this season. 1 Betts, Mookie 51 Martinez, J.D.